i’m creating this bad habit where i’ll be studying or generally being productive, and then i get up and go to the kitchen and cook something right in the middle (of a math problem or coding or etc). 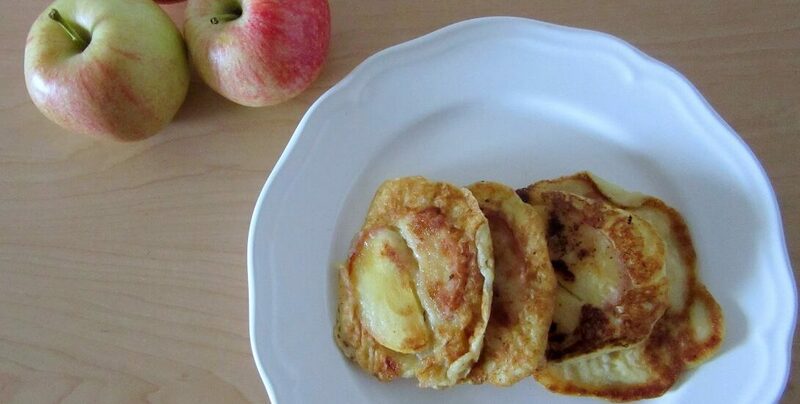 hence these caramelized cinnamon apple pancakes made at 3pm on a tuesday afternoon. the batter was easy but a little weird. i only used 1/2 tsp salt because 1 seemed like way too much. it seemed like a ton of baking powder but i checked 3x and it was right so i rolled with it; the batter got super foamy and fluffy when i was prepping the apples (all that bp!). you don’t need to cook the apples (btw this is the perfect time to use any mealy apples you may have; i’m looking at you galas, the ones i bought only because there were no fujis) that long before you add the batter; they get soft pretty fast. although, if you want a tender apple coated in a thin layer of crunchy caramel, then cook them for longer (i liked both ways!). also, it’s really hard to make mickey pancakes with these (especially if you’re spooning on the batter and not using a squirt bottle). (though i did make a pancake that looked like baymax when he’s in his box). the pancakes cooked pretty quickly even over low-medium heat, so watch them! despite the relatively fast cooking times per pancake, these were still very time intensive- i had to cook two pancakes at a time because my skillet wasn’t big enough. and when i tried to do 4 it became one big pancake that i unsuccessfully tried to flip and then had to divvy it up with my spatula. i was kind of skeptical of these caramelized cinnamon apple pancakes, if i’m being completely honest. i didn’t care about messing up the first one, since what’s the point of taking nice (okay, nicer; i’m actually using a camera instead of my phone’s camera that makes everythinggg look hazy and foggy and sf-like) pics if they’re meh anyways? BUT MY GOODNESS THEY WERE AMAZING. the pancakes were super tender and eggy and buttery, kind of like a dutch baby (this means you don’t really get crispy edges, but you don’t miss them i swear!). the apples were tender (or sometimes crunchy from the inadvertent but oh so welcome caramel) and broke up the pancake a bit. i loved that they were lightly spiced. they’re sweet enough where you don’t need anything else! okay, besides maybe some bacon and eggs if you wanna go full out. i was gonna serve with scrambled eggs, but i was so full after eating too many of these that i didn’t even have to. Mix the dry ingredients in a small bowl. Whisk the wet ingredients in a separate bowl. Add the dry ingredients to the wet ingredients and mix until just combined. It’s fine if there’s lumps; you don’t want to overmix it. Heat some butter or oil on a griddle (or a skillet in a pinch) over medium to medium-low heat. Dip some apple slices in the flour mixture (only dip the ones you’re going to cook immediately; otherwise the apples soak up all the flour and become gross), then place in the pan and cook for 30 seconds – 1 minute (longer if you want a crunchy, caramelized apple). Add a scoop of batter on top. Cook until the bubbles around the edges of the pancake subside, and the top looks almost set. Flip, then cook for a couple more minutes until cooked through. Serve warm.